Con Edison of New York (93% of earnings when combined w/Orange & Rockland): provides electric service to approximately 3.3 million customers and gas service to approximately 1.1 million customers in New York City and Westchester County. The company also provides steam service in parts of Manhattan for heating purposes. Orange & Rockland (93% of earnings when combined w/Con Edison of New York): provides electric service to more than 300,000 customers in southeastern New York and adjacent areas of northern New Jersey and eastern Pennsylvania and gas service to 130,000 customers in southeastern New York and adjacent areas of eastern Pennsylvania. 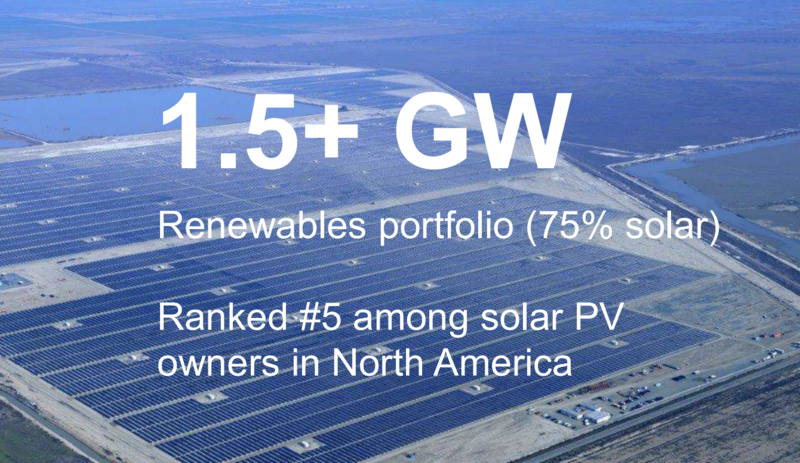 Con Edison Clean Energy Businesses (4%): develops, owns, and operates renewable and energy infrastructure assets and provides energy-related products and services to wholesale and retail customers. Con Edison Transmission (3%): invests in electric and natural gas transmission projects that offer customers access to diverse, low-cost energy supplies. Regulated utilities generate over 90% of the company’s earnings, making Con Ed’s returns very predictable. Con Ed also owns a substantial amount of renewable energy assets, dominated by solar power that is sold to other utilities under long-term power purchase agreements, or PPAs. However, the company’s Clean Energy Businesses (CEB) only accounts for about 5% of company-wide adjusted earnings. While renewable energy will represent a larger portion of its revenue and earnings base in the future, management projects that its core business will remain dominated by its regulated New York electricity and gas utility services over the long term. 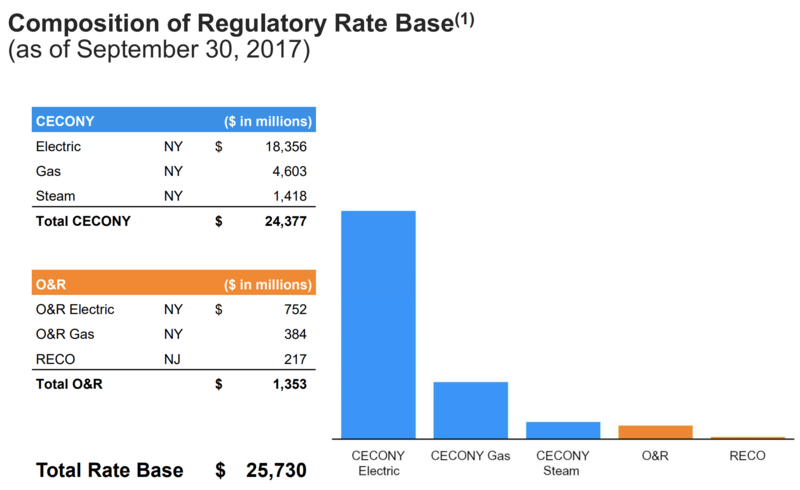 Regulated utilities enjoy monopoly-like status in the markets they operate in, and Con Edison’s situation is no different. After a wave of industry-wide restructuring in the 1990s, all of the electric and gas delivery service in New York State is now provided by four investor-owned utilities or one of two state authorities. To ensure consumers have access to reliable utility services at fair prices, Con Edison’s utility operations are regulated by the New York Public Service Commission, which determines the projects the company can invest in and how much profit it can make. Given the capital intensity of transmission infrastructure and the government’s interest in keeping electricity prices reasonable for consumers, utilities typically earn a relatively low but stable return on equity. 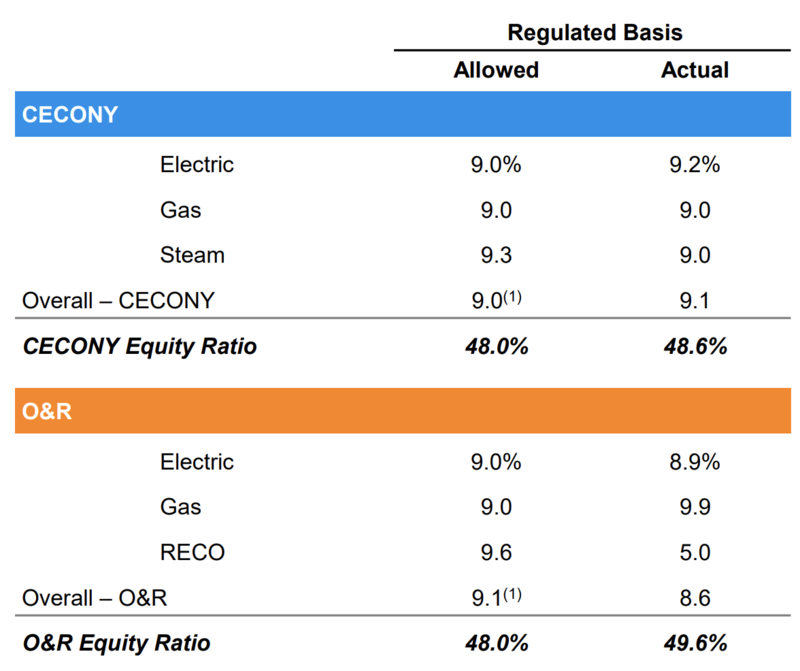 As seen below, most of Con Edison’s utilities are allowed a return on equity around 9% (below the national average of about 10%). New York regulators generally allow lower-than-average returns on equity (political pressure to keep rates low), so it can be harder for Con Ed to boost its profitability given that most of its infrastructure is underground and thus costs more to maintain and expand. However, as long as the company completes its projects on time and on budget, it still enjoys extremely predictable earnings, which has enabled Con Edison to reward shareholders with more than 40 consecutive years of dividend increases. The company’s focus on regulated utilities, combined with the industry’s slow pace of change and recession-resistant services, make Con Ed a highly durable business (how many other companies have been in business since the 19th century, essentially solving the same problem for customers?). While Con Ed’s earnings are among the most stable in the industry, at the same time the company has struggled to record meaningful earnings growth. This is mainly due to the very mature markets Con Ed operates in, resulting in predictable results at the expense of rather anemic growth in electricity and natural gas demand. In fact, demand is projected to grow by less than 0.5% annually over the next two decades for its electric businesses. Gas demand is a similar story, although the rate of growth is moderately higher (1.4% CAGR) for Con Ed’s New York segment. Another hurdle to growth is the high cost of living in New York City, which makes regulators less amenable to raising electricity and gas rates. As you can see below, average prices for electricity in New York are much higher than the nationwide average. In fact, the company’s Con Ed New York subsidiary faced frozen electric rates for three years until early 2017, when regulators approved a plan to let the utility raise its electric and gas rates by around 3% to 4% in each of the next three years. Despite the high cost of electricity in New York, infrastructure still needs to be maintained and improved, and that work isn’t cheap in such a dense, congested area. The rate hikes will also go towards funding more smart meters and greater use of renewable energy, such as solar. These latest rate hikes will generate hundreds of millions of dollars for Con Edison over the next few years, supporting the large amount of capital spending the company has undertaken in recent years. 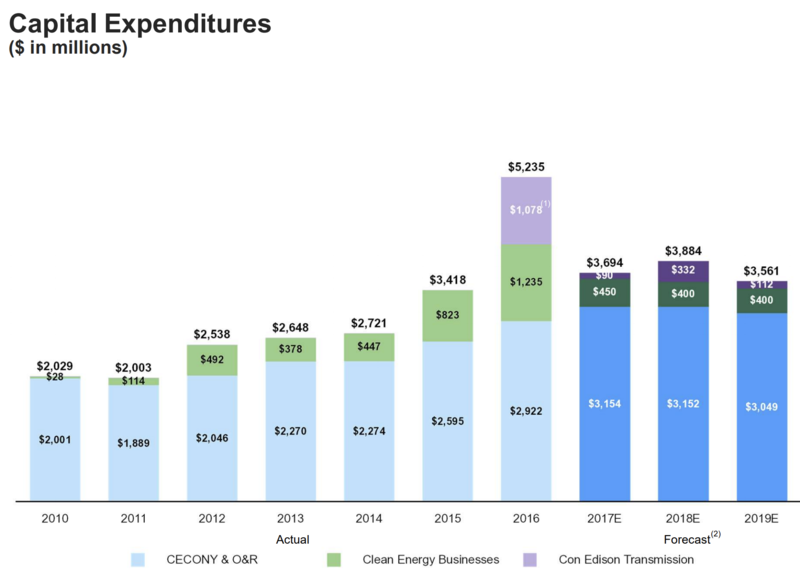 Even with its long-term growth plans, which involve a major push into smart grid technology, electric efficiency initiatives, and renewable energy and storage, Con Edison’s earnings seem likely to only grow around 3-4% annually over the long term, just barely ahead of inflation. 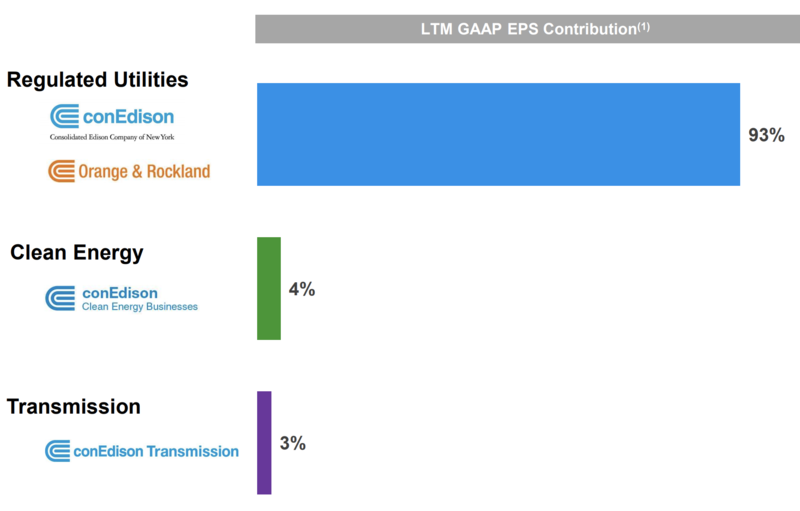 Essentially, Consolidated Edison is the definition of a bond-like stock: safe, predictable dividends, but very low growth. Arguably the biggest risk to Consolidated Edison is its ability to grow in one of the more challenging regulatory markets in the country. New York City’s cost of living is one of the highest in North America and around world, mostly due to its extremely expensive housing costs, which are more than double the U.S. average. This high cost of living can make regulators more skeptical about raising utility rates, which explains why Con Ed’s electric rates had been frozen for several years until early 2017. Overall, however, New York’s regulatory system has been consistent and reasonable over time. Importantly, it includes revenue decoupling for electric and gas services. This means that the utility company’s profits are disassociated from its sales of the energy commodity itself. In other words, rates are adjusted up or down to help the utility meet a targeted rate of return regardless of how much product is sold. As seen below, New York’s targeted return on equity has remained between 9% and 11% over the last decade, and the latest approved rate hike in January 2017 allowed Con Ed a 9.5% return on equity. Outside of the regulatory environment, it’s worth mentioning that utilities depend on easy and affordable access to debt and equity markets to finance their capital-intensive businesses. Con Edison’s investment grade credit rating, nicely staggered debt maturity, and large credit facility mitigate this risk. However, higher interest rates could serve as a modest headwind, raising the company’s cost of debt while also weighing on the stock’s performance as investors rotate out of bond-like stocks over the short term. Finally, some investors might note that Con Ed suspended its dividend in 1974, which was the first time since 1885 that the company omitted its quarterly dividend. Back then, Con Ed was more involved in power generation activities and depended heavily on various fuels to run its generating facilities. With little warning, the price of residual oil quadrupled, crimping the firm’s profits. The company’s management team also made several executional missteps, and Con Ed was overly dependent on capital markets to fund its ongoing operations. Investors’ confidence in utility businesses plunged, cutting off affordable financing. This shouldn’t be a concern today because Con Ed is not involved in electricity power generation (only distribution). However, it goes to show that even the “safest” companies can encounter unexpected challenges from time to time. 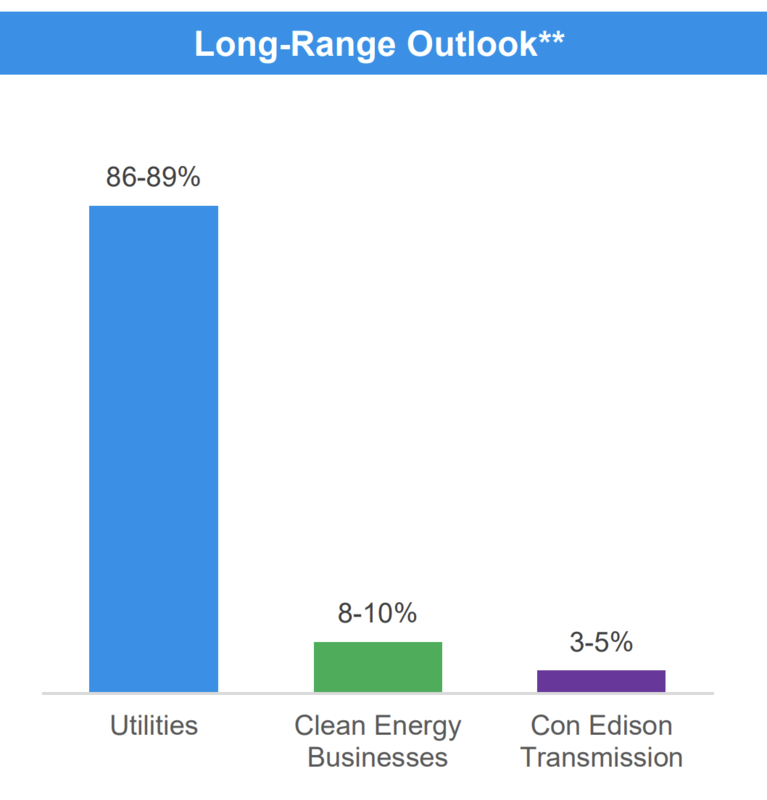 Con Edison is arguably one of the most reliable utility companies that conservative income investors can find. With an operating history going back more than 130 years and over 40 straight years of dividend increases, Consolidated Edison has proven to be very durable and committed to its dividend. Owning the stock over the long-term seems likely to preserve one’s capital, and the income ED generates is steady, secure, and likely fast-growing enough to offset moderate inflation. However, Con Ed’s future pace of growth will remain slow, and future rate hikes allowed by New York’s public utility commission could be more challenging given the region’s high cost of living. Overall, Con Ed is mainly of use to investors who prize dependable income, dividend growth that will probably keep up with inflation, and some of the lowest volatility of any stock in the U.S.
To learn more about Con Ed’s dividend safety and growth profile, please click here.